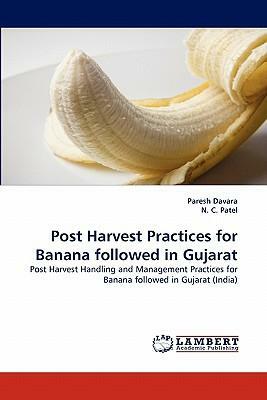 The present project was undertaken to assess the post harvest losses and value addition to banana through processing as followed in Gujarat. The effect of various ripening methods on losses were also determined. The study revealed that the overall post harvest losses in banana after harvesting till ripening was found to be 15.43%, which included losses at field level (0.77%), at trader's level (5.86%) as well as ripening losses (8.80%). Only negligible losses were reported and observed during the processing of banana. The highest value of actual total loss (16.00%) was observed in case of smoking + room temperature method of ripening, while the lowest value of 4.66% was observed under the ethephon + air-cooled chamber method. Although, the ethephon + ice treatment method gave ripening loss to the tune of 7.43%, this method was most widely adopted in Gujarat considering its convenience and good appearance of bananas after ripening. It is recommended from the study that the improved ripening methods like ripening under ethephon + air cooled chamber method should be used during ripening to obtain the good quality banana with a lowest value of losses.